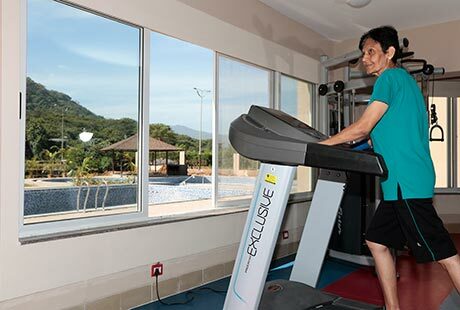 Our residents want to live an active and healthy lifestyle. However, we understand the challenges that ageing presents, and build our homes in anticipation of those challenges. An Ashiana Senior Living home is designed to have all the comforts of a regular home with additional functionality and detailing to suit your needs. Step on to anti-skid tiles across the apartment floors. Turn into the hallway and run your hands along chamfered wall edges designed to prevent injuries. The bedrooms have easy-reach, coloured light switches and night switches that swiftly bring forth the safety of light. Emergency response system at three locations in the unit, upon activation, will alert the security immediately to come to your aid. The bathrooms have arthritis-friendly fittings and grab rails for your comfort. An Ashiana home is intended to be comfortable and friendly, and yet thoughtful and alert to all possibilities of what you might need here. The physical, the psychological and the emotional are all markers of how we lead a healthy life. As one enters the silver age, an active life full of such triggers is what you need to keep in the pink of health. 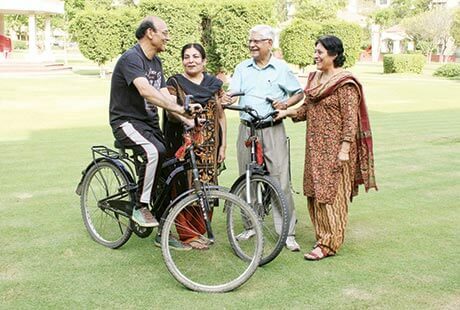 At Ashiana Senior Living, we design activities and amenities that help you lead this active life. Your body is your temple, and our range of activities will help raise your levels of physical fitness. 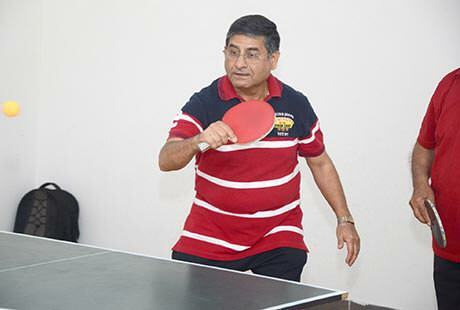 Go for a swim with your friends or spar over a game of table tennis. 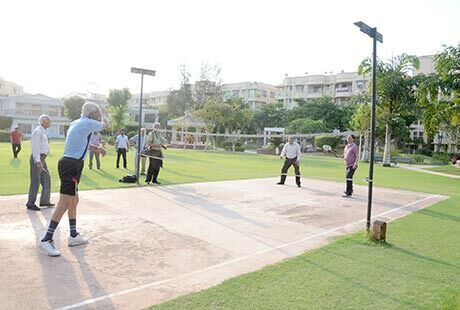 Energise your daily routine with a badminton match or long walks. Or opt for regular Yoga classes and other fitness options at the gym and activity centres. Keep that brain exercised as we provide ample opportunities to develop mental agility. 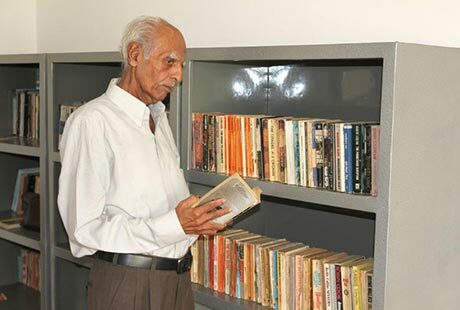 Pore over a book in our library or and have a lively conversation with a friend over coffee and current affairs. Develop hobbies with our regular classes on cooking, dancing or art therapy. For the spiritually-inclined, we have regular meditation classes, satsang sessions and pujas. 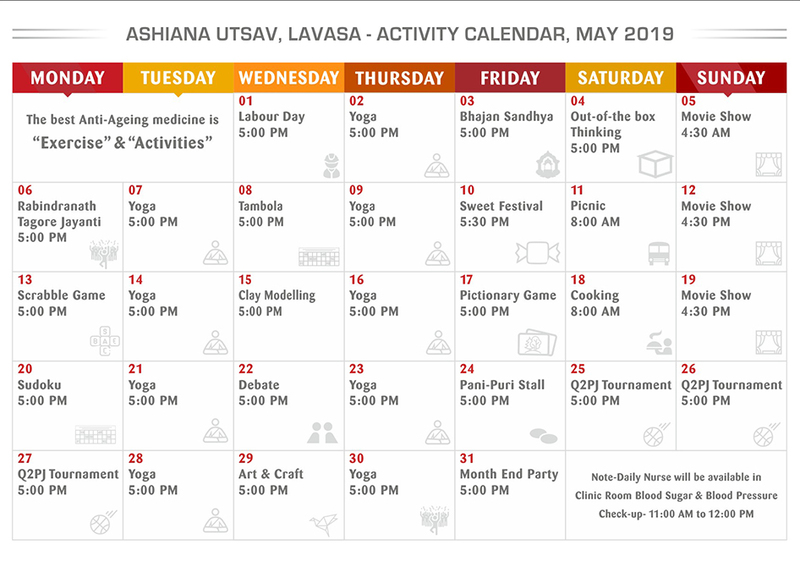 Our maintenance team plans a range of entertainment and learning activities for you: over 2000 events in just one year across all Ashiana projects. At Ashiana, you build a community of like-minded neighbours and friends, who soon become family. This provides an emotional support system, which along with a calendar full of mental and physical activities, makes for a long, healthy life. With over ten years of experience in Senior Living projects, we have all the systems in place to ensure maximum safety and security of our residents. In all these years, we have a record of zero break-ins in our projects.Your care and safety is our top priority. Senior living homes are guarded 24x7 by trained and equipped security staff. CCTV cameras are installed at vantage points for round-the-clock surveillance. We ensure that each staff member is trained regularly on first aid, and we hold regular fire drills. Emergency response systems (ERS) are enabled in the individual apartments. We also provide 24/7 emergency care, with and on-call doctors and ambulances. As a preventive healthcare best practice, we organise regular medical camps for our residents. 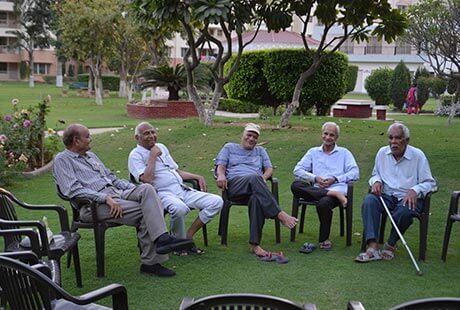 At every age we require friends or company of those who are like minded, keeping this in mind Ashiana Senior Living provides community living for Seniors. 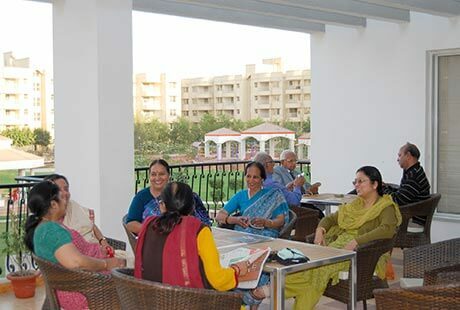 Here seniors can enjoy daily activities ,dining, celebrations among friends. Internal : High quality washable plastic emulsion of specific shade from reputed brand as per Architecture's suggestion. POP cornice as per architect's design in all rooms. Walls : Ceramic Tiles up to lintel level. Fittings : A Wash Basin with granite counter or counter style wash basin, towel rail, provision for hot & cold water supply, vitreous white sanitary ware of reputed company and health faucet. Single lever CP fitting of Jaquar / Marc or equivalent make. Grab Rails in master toilet only. Platform : Working platform in black granite with stainless steel kitchen sink with single bowl and drain board and provision of hot and cold water supply. Walls : Two feet ceramic tiles dado above working platform with provision for electric chimney above platform and a point of aquaguard/RO system. Main Door : 35 mm thick skin door with M.S. folded steel chaukhat & magic eye. Other Door : 35 mm thick skin door with folded steel chaukhat. Handles : Leaver type handles with mortice lock. Three track aluminium windows (wherever possible) with 4 mm & 5 mm thick float glass in Italian section or UPVC window. Fittings : Modular electrical switches with sockets and fan regulators. Wiring : All electrical wiring in concealed conduits with FR grade of standard make copper wires. Convenient provision and distribution of light and power plugs. ERS : Emergency response switch at three locations connected to central monitoring unit (CMU). Night Lamp : In master bedroom. External : Exquisitely designed classical exteriors finished as per Lavasa construction specification & Guidelines. Through Lavasa Corporation supply system. Lift in each apartment building backed by auto recovery. Flooring combination of tiles and stone. Washing machine point with water inlet and outlet at a convenient location. 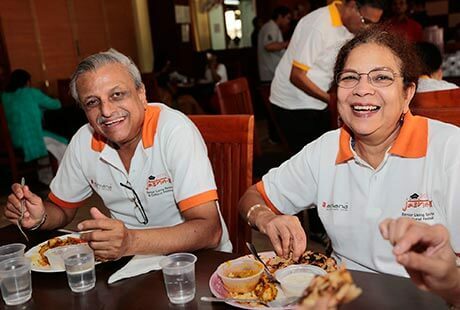 ""Life at Utsav is full of joy and fun. We never thought that we could live our retired life, like our college days. Friends, Hobbies, Passion, Love and what not, we got everything here, which got lost in the busy years of our life."" "“A carefree life full of freedom, dignity, health and happiness!”"
"“Facilities and conveniences existing in & around Utsav are planned in such a way that life will become hassle-free.”"
""Facilities and conveniences created in Utsav Lavasa are in a way that lead life an independent and tension free, that is too away from city’s cluttered atmosphere,here a lifestyle in a beautiful and serene lush green surroundings."" "“The most unique feature of Lavasa is its lush green surroundings which is so beautiful and serene that you would never want to go anywhere else.”"
Thanks for sharing your thoughts,please give us more clairity on what exactly you want to do. I am interested to take a trial home or on rent . Pl give the details. Thank you for showing interest ,our executive will book trial stay for you as per the availability and cordinate over a call. 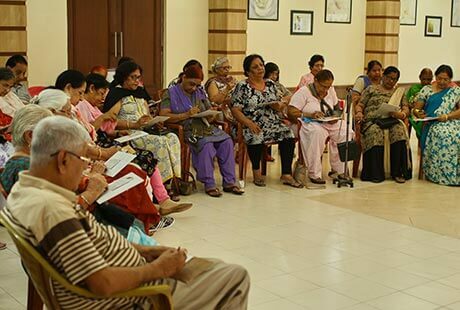 Thank you for showing interest in Ashiana Utsav, Senior Living at Lavasa. We have 1 BHK available in the price of Rs.44 lacs - Rs. 52 lacs. Presently 100 + residents are enjoing the lifestyle in the project, we have trial homes facility also available you can stay and experience the lifestyle before buying.For further assistance our executive will contact you shortly. want to information in your project. Thank you for showing interst in Ashiana Utsav, Senior Living in Lavasa. At present we have 1/2 BHK apartments available in sales at the price of Rs. 43 lacs - Rs. 73 lacs. For further assistance our executive will contact you shortly. Thank you for sharing contact detais , our team will contact you soon. WE NEED TO SELL OUR UNUSED VILLA NO M 30 URGENTLY. WE ARE WILLING TO SELL AT A VERY VERY ATTRACTIVE PRICE. 65 LAKHS ONLY. 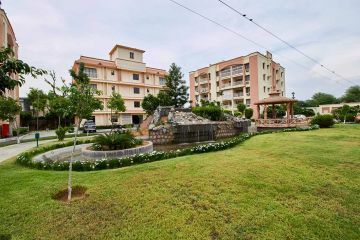 You can contact our resale team for assistance to sale the property, Mr. Mahender -9503028080 will help you further. We have booked an apartment M 210 at Ashiana Utsav and have been paying the due instalments. I now hear Lavasa itself is facing major problems and Ashiana Utsav will also face the fallout in due course of time. We are senor Citizens and need a reassurance from the promoter on all the deliverables promised to us. Can anyone share Mr Ankur Guptas' contact details with me? Its a major decision for us to continue with this investment or not. Thanks for sharing your details with us, our Executive will get back to you shortly. You can contact Mr. Vivek - 7665001411 as he looks after the resale and rental department. Thank you for showing interest in Ashiana Utsav Senior Living in Lavasa, our executive will contact you soon and assist further. Thank you for showing interest in Ashiana Utsav Lavasa, our executive will forward you the brochure and also get in touch with you for further assistance. You are right sir but once you shift in Senior Living you do not need to commute frequently on this route. 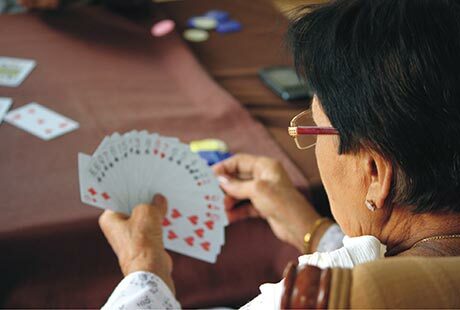 Many other convinience you will get in Senior Living which makes life hassle free. Thank you for showing interest in Ashiana Utsav Lavasa, you can surely plan and visit the campus as per your convinience, our executive will contact to assist you for the site visit. I am interested in 1bedroom flat for us. 1 BHK in Ashiana Utsav Lavasa would start around 43 Lacs.The area for the said unit is 915 sqft.Our sales officer will get back to you and understand your reuiqrement. We do have a option of Trial stay(on payment) with us wherein you can stay and experience the lifestyle at Ashiana Senior Living. Thank you for showing interest, our sales personnel will contact you soon and organize a site visit for you. Thank you for enquiring , for booking the trial homes at Ashiana Utsav Lavasa please give a call to Mr. Mahender-9503028080, he will further assist you on availability and booking confirmation. We have both the options - renting a unit and Trial apartments wherein you can stay for couple of days and experience the lifestyle.Our sales officer will get in touch with you and understand your requirement and will guide you accordingly. 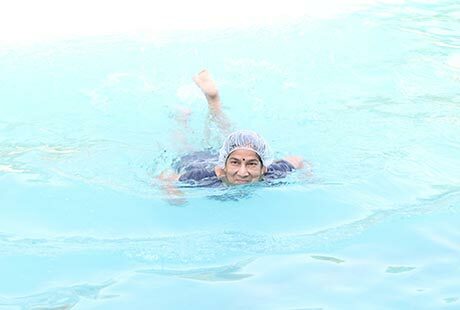 I am 58 years self employed from mumbai.I visited Ashiana Utsav lavasa recently and very much liked the weather & Ashiana Utsav Senior living setup. I am interested in 3 BHK Villa and seeking proposal from owners desirous of selling 3 BHK Villa for a reasonable consideration. Manohar Panicker.9224349090. Thank you for showing interest ,we only have one 3 BHK villa left for sale. Mr. Mahender will contact you soon and assist you further for the price.Sharing his number - 9503028080. I am 42 years old can i purchase home in your project for future. Request you to provide price details with registration cost, w.r.t other facilities like club house etc what are the charges does one have to purchase club membership etc. Thanks & regards. Yes you can purchase project for future perspect, we have 1 & 2 BHK available in the price range of Rs. 46.97 lacs - 78.32 lacs. For other required assistance our executive will contact you soon. Our executive will get in touch with you shortly & will share the required details. 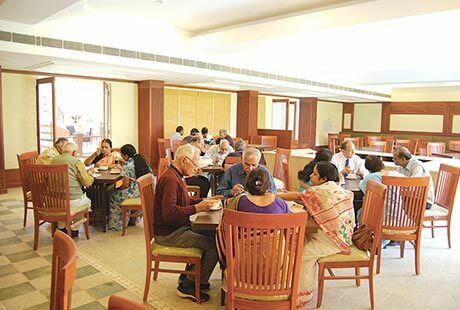 Thank you for showing interest at Ashiana Utsav, Senior Living in Lavasa.Presently more than 120 Senior are residing and enjoing the lifestyle , Mr. Mahender will contact you to arrange a site visit for you and also assist you on the availability and booking of Trial Homes. I want to have two bedroom. how much it will cost. can i have visit there. Thank you for enquiring, 2 BHK will cost you in the price range of Rs. 62 lacs - 75 lacs. Our executive will contact you soon and arrange a site visit for you. 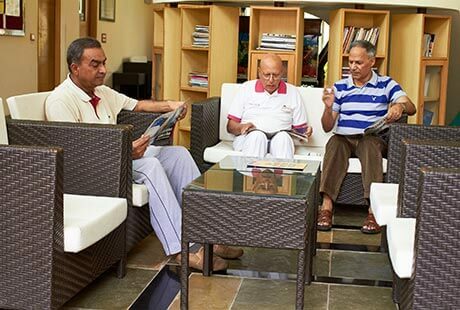 You can also plan a stay at our Trial home to have a first hand experience of life at Senior Living in Ashiana Utsav Lavasa. 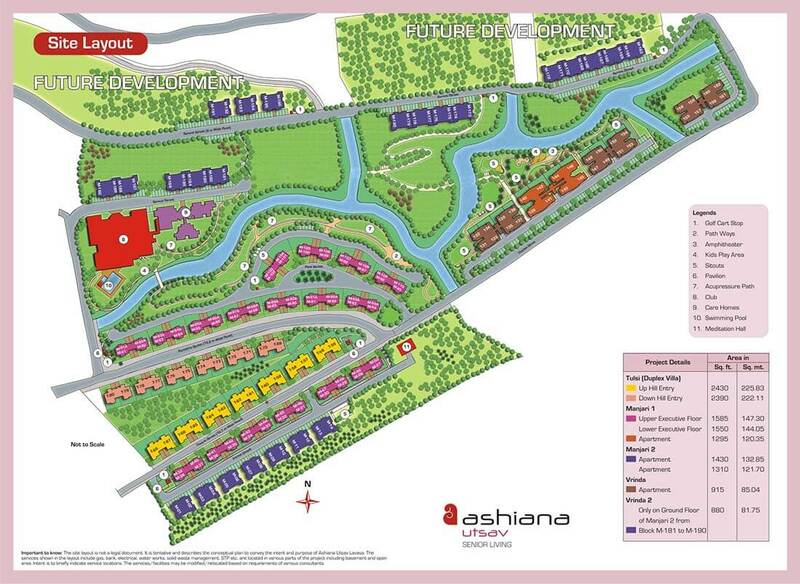 We do not have PG accomodation available in Ashiana Utsav Lavasa. If you are 55+ you can check option for rent a flat to live there. 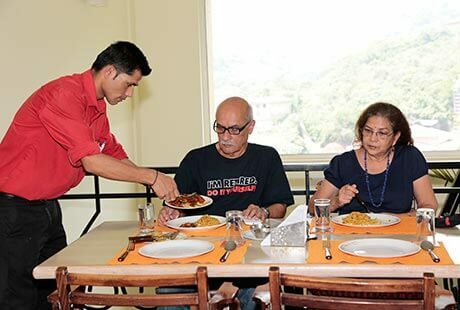 Thank you for showing interest at Ashiana Utsav Senior Living in Lavasa.Mr. Tamal-9881473600, will help you about the project detail and availability of 3BHK unit. We have Trial home facility also available. 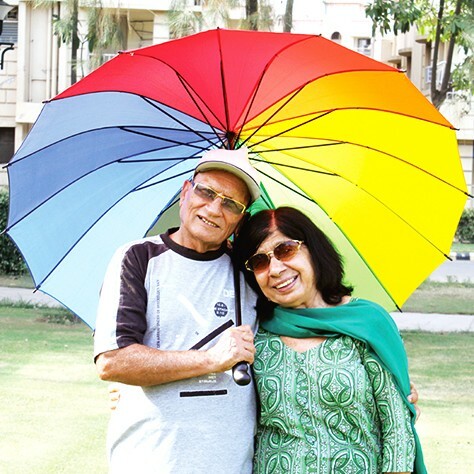 We (me and my wife) are retired professors age 74 and 72 and want safe and calm life in future.At present living in Aurangabad.Only one question we want to ask is whether there is 24 hours competent Doctor and medicines available at LAVASA.My wife is diabetic patent for last 35 years. We are happy to hear that you are planning to spend your retired life in a senior living community.For medical assistance, there is Apollo hospital just 500 m from our complex for doctor and medicines.Also,there would be 24 X 7 nurse available in our complex. I would like to know from the residents how comfortable n accepting is for single person ,no spouse. Thank you for showing interest in Ashiana Utsav at Lavasa.Our sales executive tried to arrange a call for you with our residents who are single but the given number was not available. Please contact Mr. Tamal so that he can assist you further, his number is 9881473600. Both of us are consultants. (Pediatrics and Ophthalmologist). 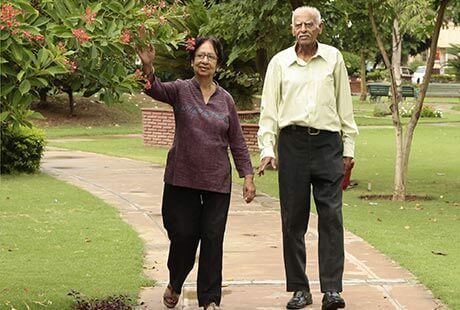 We are in search of such home, where our health problems can be taken care of in old age. Please e mail details. This is a offer who has money, do something for poor seniors who has no money , than i will appreciate your offer, otherwise I feel you are just for making money. If I have rs 71 lakhs to invest in 2bhk that also in lonavala than why should i invest i can have happy life just itself by staying in mumbai. We would like to inform you that we are running a eal estate business and we build homes which fulfil the different needs of different people. 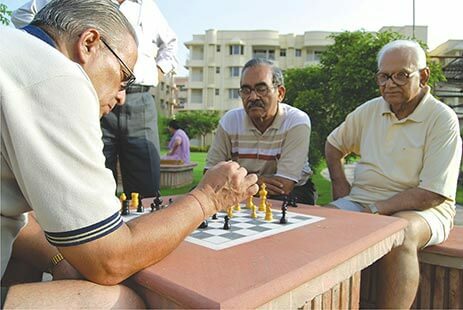 We have other Senior Living projects throughout India, where the prices are lower than the prices in Lavasa. And overall,if you will see our customer base comprise of middle income group. 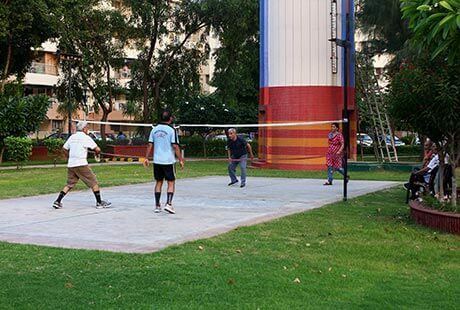 Ashiana utsav is a nicely built project by ashiana housing in Pune for senior living . 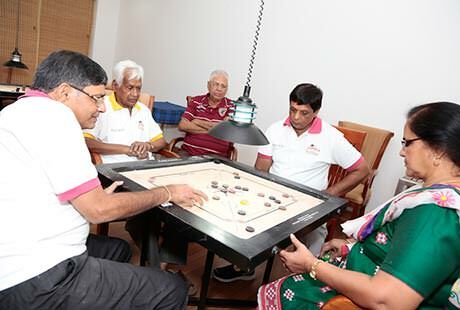 It is equipped with all facilities n amenities for seniors that makes the life of senior hassle free. No doubt ashiana's all project are excellent. ashiana utsav lavasa is also a very beautiful society. 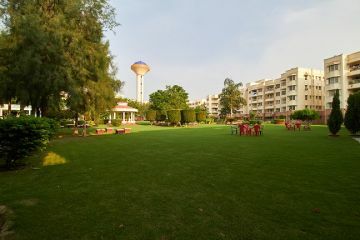 its location is excellent with all facilities. Thank you for showing interest in Ashiana Senior Living Lavasa. Mr. Mahendra will contact you and assist you for the site visit, sharing his number -9503028080. 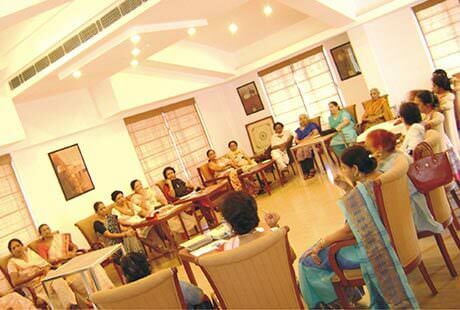 Ashiana utsav is a best society of Lavasa near by Pune.no doubt all project of Ashiana is the best project where full full our all dreams.its also a senior living project where all senior citizens participates in all activities and celebrate all functions very well they full enjoyed there life .thanks Ashiana for gives the best facilities to our citizens. Thanks for the appreciation. Right now we don't have any plan for Pune. We have our senior living project near pune at Lavasa. If you are interested, we will sned you details of that project. This is very nice project with great location. Lots of greeenary around. 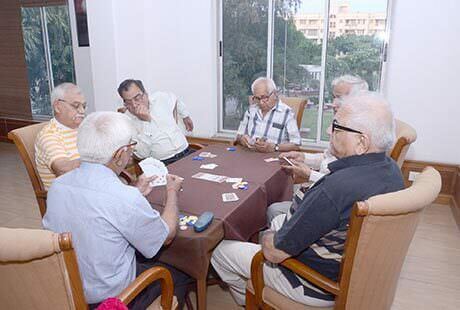 It has all facilities needed by senior citizen. We are interested to live in one of your comfort homes for seniors. I am aged 78 years & my wife of 71 years. Both are having difficulty in walking. Before we make up our mind to buy, we would like to stay at your place, sometime in September 2017 for about 5/6 days at Lavasa near Pune, Please let me know the procedure. Interested to have a 1 bhi or 2bhk fully furnished flat on monthly rental. Please write with details and expected rent and conditions. Thank you for showing interest, yes we have options available for rent our executive will mail you the required details and get in touch with you for further assistance. We request you to inform our lavasa resale & rental services and register your property with them for resale. If you want we can request our reale team to contact you on the above mention number. 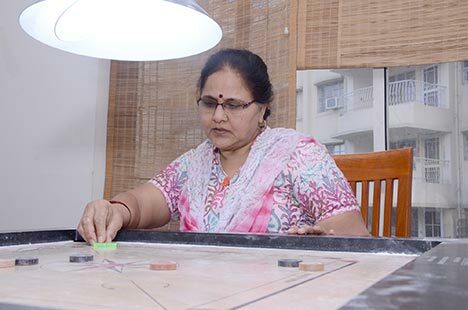 Thank you for showing interest in our senior living project Ashiana Utsav at Bhiwadi. We don't provide such short time rental facilities in our project. If you just want to experience the ambience and the facilities before purchasing, than we have trail homes for you. By paying a nominal amount you can stay upto a weeks times and experience the facilities. You can also interact with the residents during your stay. Our executive will call and give you more details. Thank you for the appreciation. Our executive will call you back soon. WIsh you buy Villa for senior living. Please provide more informaion. This resort for seniors misses 2 essentail components : it is not wheelchair friendly and there is no provision for rapid evacuation from upper floors in case of fire ! Thank you for sharing your concerns,at Ashiana Utsav Lavasa we have created ramps in the common areas along with the grab rails for support.We have villas and low rise apartments with fire extinguisher installed in each floor.